Several bags of black beans, countless bars of chocolate and a couple of years ago I claimed that I’d never ever ever attempt another batch of black bean protein brownies ever again. But this summer, I kicked up my workout routine a bit and thought that I could benefit from a protein-packed snack. Letting bygones be bygones, I put my black bean brownie prejudices aside and decided to give the healthy recipe another go. The result? Amazingness! Seriously – I think I understand where I went wrong every single time now. Under-cooking the black beans. Where I live, we can’t buy cooked black beans in jars – I can only by the dried ones in bags. Being the impatient time I am, I usually skimp on the soaking and cooking time, which results is relatively hard beans that make for terrible brownies. Since my kitchen still isn’t finished and I’m still without a hob, I’ve been doing a lot of cooking in my Crock Pot and when I learned that you can cook black beans in the Crock Pot without having to soak them first, I was all over it. So a couple of hours later, I had super-soft black beans that made the perfect base for this healthy black bean brownies recipe. 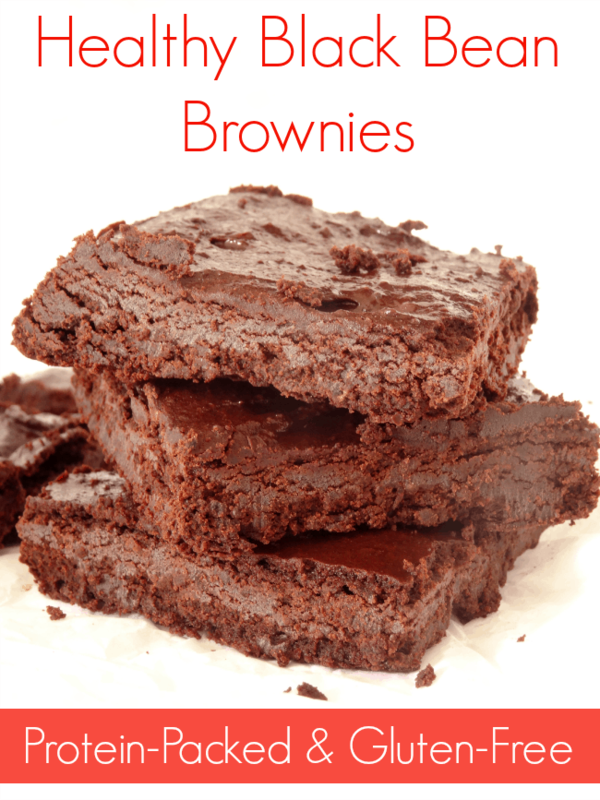 I cannot stress one thing enough – these brownies taste absolutely nothing like black brownies. They’re rich, they’re dense and they’re fudge-like, but they’re nothing like brownies made from black beans. It’s like everyone’s perfect sweet treat – delicious and indulgent enough so you feel like your treating yourself, but healthy enough to be nutritious and good for your body. I didn’t just jump in at the deep end and make black bean brownies off my own back. Instead, I researched loads of black bean brownies reviews and recipes so I could be sure that the result was something that I’d love. 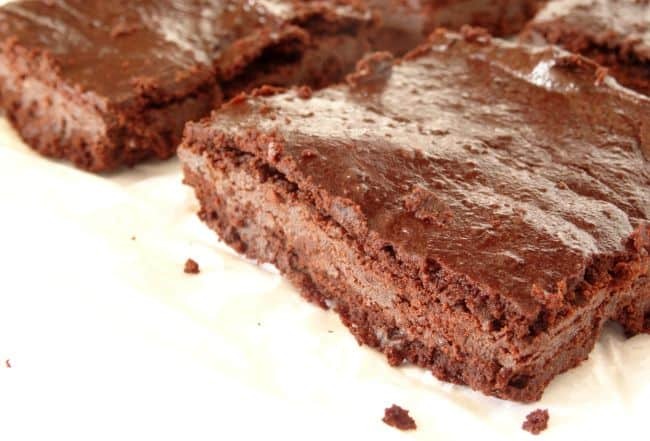 These black bean brownie recipes are based on this vegan recipe from Minimalist Baker. 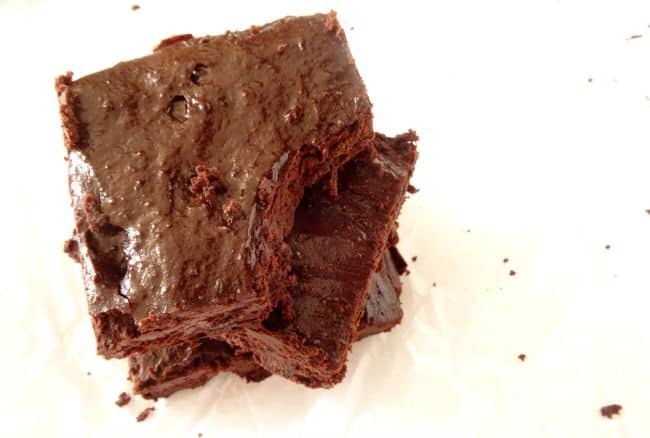 Although they’re not vegan, by black bean brownies are gluten free! 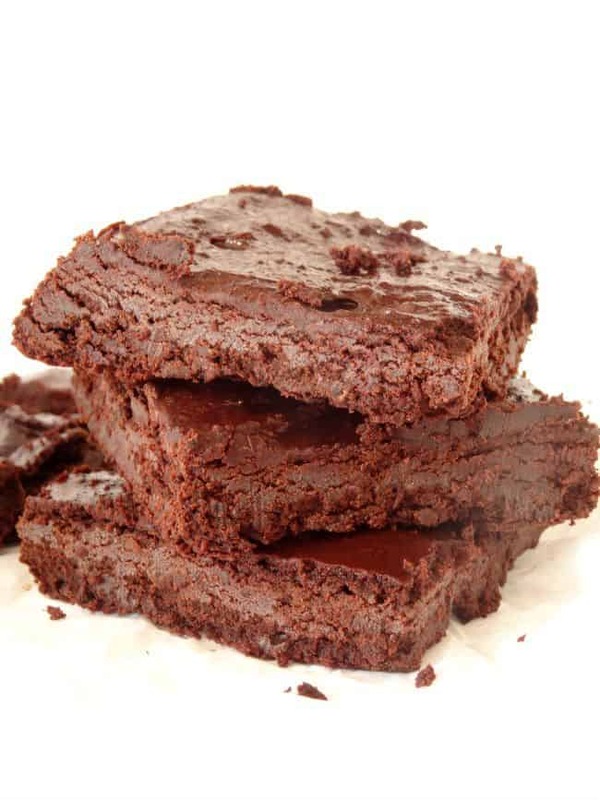 If you don’t like the idea of putting black beans into your brownies, try my recipe for the best ever healthy double chocolate brownies instead. Preheat the oven to 350F/175C and line a 9x9" baking tray with parchment paper. Place all the ingredients into the bowl of a food processor and blend on full speed for about 5 minutes until totally combined. You'll need to stop the processor and scrape down the insides of the bowl with a spatula several times to ensure all the ingredients are well combined. You're looking for a texture slightly thinner than buttercream frosting. If you think your batter is too thick, try adding 1 tablespoon of water to the batter at a time and processing until you get a thinner batter. 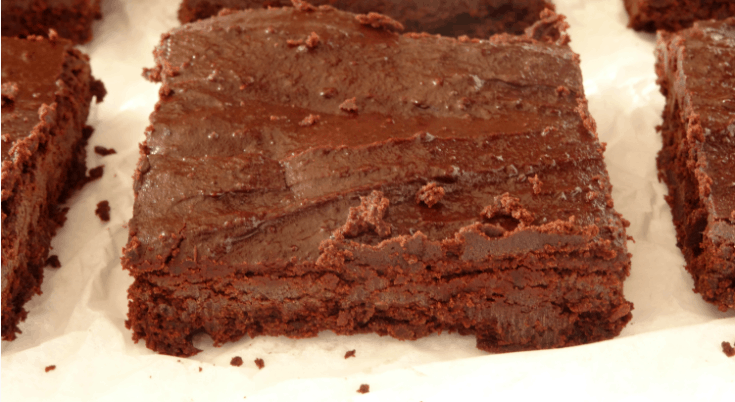 Scoop the brownie batter into the lined baking tray and spread it out evenly so it covers the inside of the tray. Bake in the preheated oven for about 20 minutes, until the top is dry and the edges are just starting to pull away from the pan. Remove the brownies from the pan using the parchment paper and leave to cool on a wire rack before slicing into 9 portions and serving or storing. 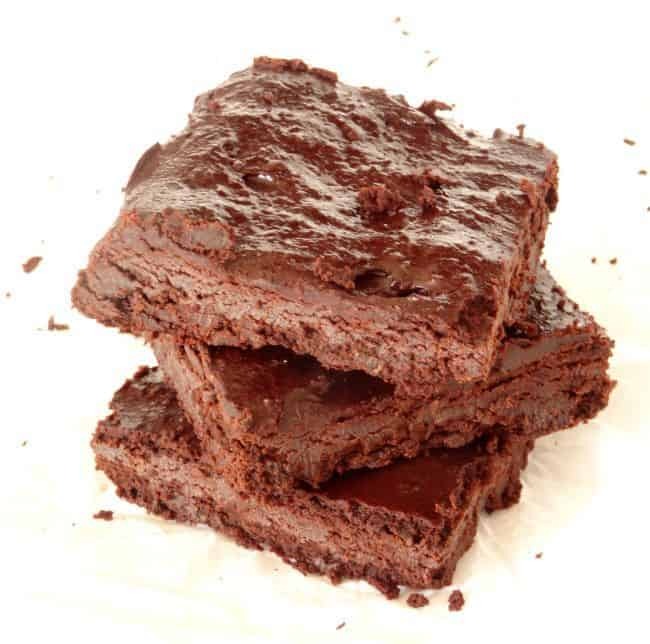 These brownies keep perfectly well in a sealed container in the fridge for up to seven days. However, after 3-4 days, they'll start to dry out. If you've got leftover dry brownies, you can mix them into yogurt for an awesome and healthy dessert parfait! Linking up to these link parties. YUM! What a good idea! Thanks, Krissy! They’re the only black bean brownies I’ve ever tried and actually liked before! My friend makes the black bean brownies, though I haven’t tried them yet. They look incredibly delicious!! Hello found this recipes on pinterest, sounds delish! I was wondering if there is anything I could use to replace the brown sugar? Like stevia or honey? Thanks so much for stopping by, Gracie! I can tell you that switching the brown sugar for honey definitely would work – the batter would be too liquid-like and would burn in the oven. Swapping the brown sugar for another dry, granulated sweet substance – like the stevia you mentioned – sounds like it would work to me, but I’ve never made the substitution myself. I would love to have one of these awesome Brownies right now! Thanks so much for sharing with Full Plate Thursday and Happy New Year!